He was born in Belgrade, on 9 August 1985. 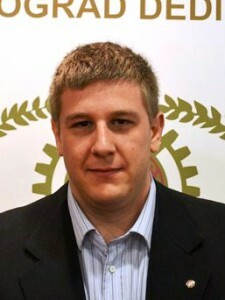 After graduating from IX Belgrade high school he enrolled Faculty of Computer Science (2004-2008) where he received his diploma in Computing science (he graduated under the old law on Higher Education of Republic of Serbia, this title is equated with the title master computer engineer). He is a member of the Faculty Council where hi also worked as a manager of the faculty. In addition, he is also an assistant on two subjects and regulate internet magazine where he published a number of articles. He participated in the organization of a large number of information events and seminars: Balkanijada 2009, RAF IT Days, RAF Challenge, and others. 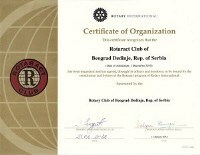 He became a member of the club on January 20, 2011 and shortly thereafter became a member of the Club board in 2010/2011. In Rotarian 2013/2014 he served as President of the Club and after the departure of the club (age limit) was made an honorary member. He participated in all important matters relating to the club since its establishment: web site making, branding the Club, registrations in the Business Registers Agency. 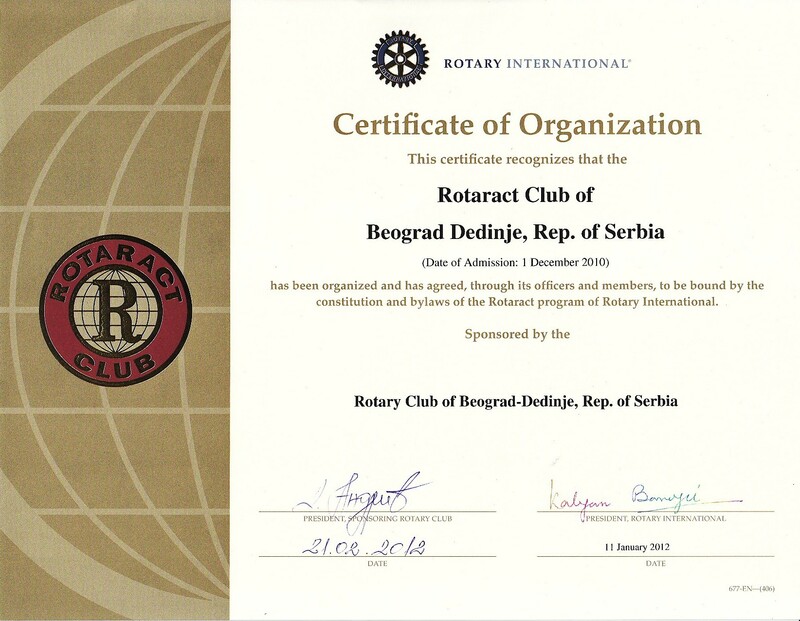 He organized a number of humanitarian activities, and he is most proud of the organization of assistance after the floods of 2014 (help to primary schools affected by floods in the municipality of Ljubovija), when the club hosted our friends from the Netherlands and France, as well as the celebration of the fifth anniversary of the Club. He represented our club at the REM (Rotaract European Meeting) in Belgrade (2011) and Turin (2012), Istanbul (2015) and St. Petersburg (2016). Who dares – can, who doesn`t fear – goes forward!